A commercial auto repair client unfortunately suffered a large fire loss at their shop. The fire started when a customer’s vehicle that was parked in the shop overnight caught fire. Luckily for the insured during their prior year renewal conversation with their customer service rep, they took the time to fully explain the Business Interruption coverage, what it included, and the time length they had purchased. At that time the insured, thanks to the strong advice from their broker, chose to increase their indemnity limit. As this claim continued the insured had a growing amount of concerns with the thought process and decisions of the adjuster. Our solution was to set a meeting with the insured, management from the brokerage, the adjuster and the senior head of claims with the insurer to work through the issues, lobby on behalf of our client, and reach a point where the claim can be finalized. Following the meeting the insured’s concerns were addressed and the claim was finalized. A commercial account also owns the adjacent house to their business location that was used as a rental property. Unfortunately the insured suffered a major loss when the rental property caught fire and was destroyed. 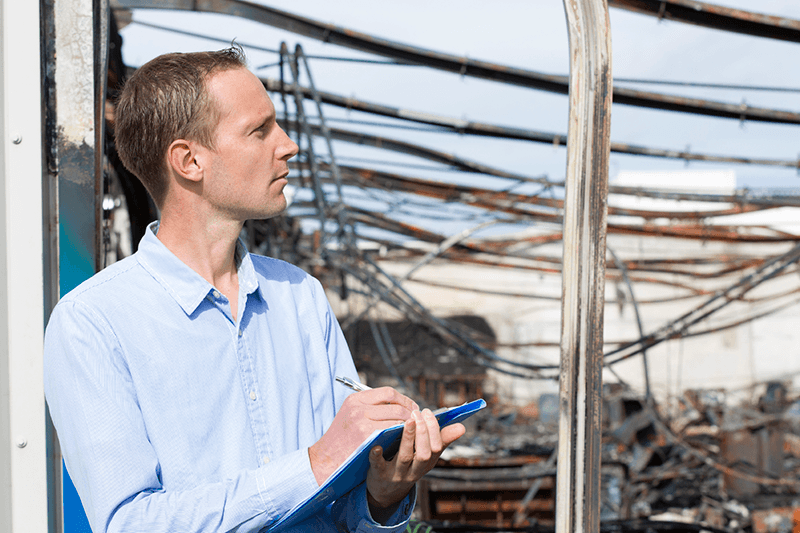 In conversations with our insured throughout the claim they told us they were thinking of accepting a cash payout from the insurer instead of rebuilding the property. That comment caught the attention of the account rep so we decided to have a follow up meeting with the insured to discuss their options and plans for the property. During our meeting we discovered that the adjuster had been pressuring the insured to take a cash payout. The insured was advised that a payout will speed up the process of the claim and then allow the insured to make other plans for the property. During this time asbestos was found to be in the home. A financial downfall with asbestos is the additional costs of collecting and removing the product after a loss which would be subtracted from the cash payout amount. We calculated the options for the insured and discovered that if they were to take the cash payout – as advised by the adjuster – there would be shortfall in funds to cover the mortgage and the insured would be left with a vacant lot and not in an ideal financial position. Instead the insured decided to pursue the rebuilding option and has been very happy with the outcome.